Stories captured and recorded by a camera, as a set of moving images showing in a theatre and on our television sets every now and then could be term as a movie, however the brain behind the artistic and dramatic aspect, of every film, guiding the technical crew and actors in the fulfillment of the script into a good and quality movie depends on a good director. Today on ‘Up close with a rising Star’ is Ghana’s youngest movie director Dorcas Kafui Fumey know by many as Faraday. Endowed with talents, Faraday heals from Sunyani the capital of Brong Ahafo Region, Ghana. 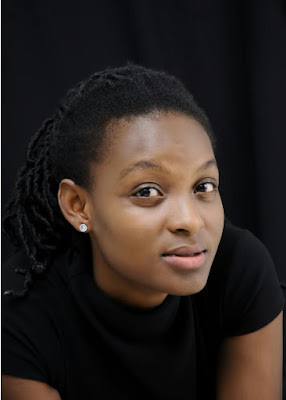 The twenty one year old movie director starred in multiple award winning "Keko" ,"Friends with Benefits" ,"Walking Zombies" as an actress, recently played an integral role in supporting the director of Yvonne Nelson's much awaited Television series "Heels and Sneakers" which shows in cinemas this Friday. The young versatile movie director, filled with the passion and vision of becoming one of the best script and movie directors across the globe is a Level three hundred (300) student studying BA in Religions and Theatre Arts at the University Of Ghana, Legon. Faraday know by her peers in the movie industry for exercising discipline on set, however is currently directing a campus base television series "FORENICS". The television series which throws more light into real life issues and happenings on campus is being shot at the University Of Ghana campus and aims at finding solutions to more difficult incidents destroying students in tertiary schools. The director of these classic piece Faraday calls it a challenge in proving herself wealthy in the movie industry. "The much anticipated series as its first three episodes shot, and Am looking forward to it showing in December and that will be my present to all students," she said. Talents such as Dorcas Kafui Fumey (FARADAY) should be encouraged and celebrated; rather such talents are hindered with multiple challenges forcing them to look elsewhere. When she was asked about her challenges in the movie industry she quickly answered: “Movie producers do not give young talents such as myself the chance in the movie industry to exhibit our God given talents both in the field of acting and directing"